There has been a significant increase in the number of heavy and long vehicles on our roads over the past 20 years, a trend that is continuing in response to growing demand and supply of goods. Heavy vehicles are large, not very manoeuvrable and often slow around the city. Therefore, it is important to obey traffic laws, be cautious and patient when near them. On country roads drivers very often become impatient when behind trucks. Don't take unnecessary risks when overtaking. Always assess the risks. Drivers on country roads should take extra care when overtaking long vehicles. Is it safe and is it legal? How far is it to the next overtaking lane? How long is the truck I am overtaking and how long will it take to overtake it? Can I see if there is oncoming traffic? Is there a bend or dip ahead of the truck that might be obscuring oncoming traffic? Many heavy vehicles travel at night when it is more difficult to judge their speed and distance from you. When following a heavy vehicle that you intend to overtake, stay well back from the rear of the vehicle while waiting for a safe overtaking opportunity. This will allow you to see further along the road past the heavy vehicle without having to move significantly to the right. It also allows vehicles approaching from the opposite direction to see you earlier. Slow moving vehicles, including cyclists and large agricultural machinery, such as tractors and harvesters, may be encountered on country roads. Many trucks carry loads that could be dangerous either through fire, explosion, corrosion or radioactivity. Information about what is being carried is indicated on the vehicle’s emergency information panels. Overtaking lanes are provided on some rural highways, in particular the Dukes Highway (A8), National Highway (A1) between Port Wakefield and Port Augusta and the Sturt Highway (A20). 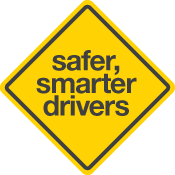 They give drivers of faster vehicles the opportunity to safely pass slower moving vehicles. when changing lanes at any time, give other road users sufficient warning by indicating clearly and giving way to vehicles in the other lane. Braking distance is the distance travelled by the vehicle once the brakes have been applied. This distance is much greater for heavy vehicles, including buses, due to their additional weight. Keeping clear of heavy vehicles that are stopping will help prevent crashes. Take extra care when you enter a road or change lanes in front of a heavy vehicle. Leave plenty of road space, as their additional weight also requires greater slowing distance. Beside the truck’s left door. Directly behind the truck for quite a distance – if you cannot see the truck driver in the truck’s mirror, then the truck driver cannot see you. Immediately in front of the truck. Get clear of a truck driver’s blind spot as soon as you can. Move to a position well in front of or well behind (several car lengths), where the driver can see you. It is not unusual to encounter horses and their riders on our roads. Horse-riders have little protection from other vehicles and horses may behave unpredictably at times. High speed roads – 70 km/h speed zones and above. Outer suburbs or rural areas. A vehicle hitting the horse from behind or side-swiping a horse as the vehicle overtakes. The horse being spooked or bolting. The horse straying from a paddock or enclosure. What can motorists do to minimise risk? Watch out for horses being led or driven on the road – leave as much space as possible to allow for unexpected movements by the horse. Take extra care on bends, crests and on narrow roads, particularly in areas close to horse riding schools, trail ride businesses and on rural roads. Slow down when passing a horse so your vehicle does not startle the horse, and allow plenty of room when overtaking. Don’t use your car horn around horses – it will startle even the most placid horse. Allow for inexperienced horse riders – especially young children. What can horse-riders do to enhance their safety on the road? always ride with a positive attitude. Horses are allowed on footpaths and nature strips, unless specifically prohibited. Horse riders must give way to any pedestrian on a footpath or nature strip. If you are riding two-abreast with another rider, you must not ride more than 1.5m apart. This will allow other road users room to overtake safely. Lights on animal drawn vehicles – when ridden at night or in conditions of reduced visibility they must display a white light on each side at the front of the vehicle, a red light on each side at the rear (visible for 200m) and be fitted with a red reflector towards the rear of each side of the vehicle. A person must not lead an animal while also driving a motor vehicle or riding a bicycle. A horse is considered to be a vehicle and therefore permitted to be ridden on the road, horse-riders are subject to the same penalties for road traffic offences as other drivers. Pedestrians can increase their safety in the road environment by making themselves more visible and using safe routes and road crossings where possible. Drivers can help make the road environment safer for pedestrians by scanning for pedestrians at crossings and intersections, and being aware of the potential presence of a pedestrian affected by alcohol around entertainment venues and at festive seasons. Drivers should adapt their speed in locations where there is a high amount of pedestrian activity. Almost everyone is a pedestrian at some stage and, as such, is a vulnerable road user. Over the last five years, nearly 1 in every 10 road deaths in South Australia was a pedestrian. View more on pedestrians involved in road crashes [PDF] in South Australia. When I am walking and crossing a driveway do I have to give way to an entering car? Vehicles driving in or out of private property or a road related area must give way to pedestrians on the footpath. It is always best however to be cautious and make sure you make eye contact with the driver. Do I have to use a designated pedestrian crossing to cross a major road? It is always best to cross at pedestrian crossing if there is one available and you must cross at a crossing if there is one within 20 meters. If there is not a crossing, always cross the road by the shortest and safest route, make sure you can be seen and allow plenty of time to cross. Some main roads have raised medians to help you cross the road in two stages. Can I cross at the traffic signals when the pedestrian signal is flashing red? Only cross at pedestrian lights when the light is green. If you are crossing with a green light and the light changes to flashing red, you must cross to the other side of the road, or the nearest traffic island designated for pedestrians, as quickly and safely as possible. Under the Road Traffic Act 1961 and the Australian Road Rules a number of offences exist in relation to walking without regard to other road users or without regard to safety. It is an offence to walk without reasonable consideration for other road users. It is an offence for a pedestrian to cross a road diagonally unless at an intersection where this is allowed. A pedestrian must cross a road by the shortest safest route and they can only cross when the pedestrian lights are green. A pedestrian must not cross a road within 20 metres of a crossing on the road, except at the crossing or another crossing. Drivers should be aware of the Road Rules relating to pedestrians particularly when it is necessary to give way to pedestrians when turning or when driving in or out of road related areas and private property. Penalties apply for offences under the Australian Road Rules. An increasing number of motorised wheelchairs (commonly known as mobility scooters or gophers) are being used in our communities. Retaining mobility is an integral part of living independently and motorised wheelchairs often provide those who are older and/or less mobile with an accessible, functional and cost effective way of maintaining mobility. Motorised wheelchairs can be configured in a variety of ways, with mobility scooters or gophers often having ‘T bar’ steering and a longer wheelbase than ‘conventional’ motorised wheelchairs. The Australian Road Rules however only refer to motorised wheelchairs and for the purposes of ‘The Rules’ a mobility scooter or gopher is considered a type of motorised wheelchair. must observe all the same road rules that apply to pedestrians. A motorised wheelchair can only be used if the person has a reasonable need due to their physical condition. A motorised wheelchair does not need to be registered and the rider does not need a licence to drive it. Moving Right Along: Obligations and Opportunities for Older Drivers is a program that encourages safer, greener and more active travel for older South Australians. Moving Right Along workshops include a Motorised Mobility Scooter Safety session. While cyclists have the same rights and responsibilities as other road users, they are more vulnerable when travelling on the road. Both cyclists and motorists need to consider each other and share the road safely. Cyclists must obey all road rules - just like motorists - including stopping at stop signs and traffic lights, riding on the left side of the road and giving way to pedestrians on crossings and at intersections. Scan the road for cyclists. When turning or entering an intersection look for cyclists and give way as you would for any other vehicle. Allow at least one metre when passing a cyclist where the speed limit is 60 km/h or less or allow at least 1.5 metres where the speed limit is over 60 km/h. Before opening your car door look behind, including checking blind spots for cyclists. Do not drive, stop or park in a bicycle lane you can cross a bicycle lane to turn left, enter private property or park in a parking lane. Cyclists can legally ride two abreast, be patient as you approach and overtake only when safe. Obey the road rules including stopping at traffic signals and stop signs and giving way at intersections. Ride predictably in a straight line, signal your intention to turn or change lanes. Look for other vehicles at intersections; never assume a driver has seen you. Keep to the left and ride at least 1m clear of the kerb and parked cars; watch for unexpected opening car doors. Be seen. During the day wear bright coloured clothing. At night wear light coloured clothing and use a white front light and red rear light. Riding two abreast is legal however allow others to overtake. To find out more on what the law says in relation to cyclists responsibilities and motor vehicle responsibilities towards cyclists when on our roads see Cycling and the Law. For information on new cycling laws including minimum distance for passing cyclists and riding on footpaths see New Cycling Laws. When riding a bicycle you can be charged with a traffic offence in the same way as a motor vehicle driver. This includes incurring demerit points against your drivers licence. You incur demerit points even if you don't hold a drivers licence (which can prohibit you from obtaining one). People riding skateboards, roller skates or scooters are vulnerable road users and can increase their level of safety by making themselves visible, wearing brightly coloured clothing and using safe travel routes and road crossings. on a one-way road with more than 1 marked lane. skaters must not hold on to another moving vehicle. take extra care near senior citizens’ homes, retirement villages and nursing homes, child care centres, premises for people with disabilities, and hospitals. always remember to Stop Look Listen Think when crossing the road and only skate across if you have control of your board or skates. ride within 2 metres of the rear of a motor vehicle for a distance greater than 200metres. Road safety experts recommend that children under 9 years of age should not skate unsupervised on roads or footpaths. Skateboarders and Rollerbladers – Did you know? Whether you’re a motorists, cyclist or pedestrian it’s important to understand your responsibilities when sharing the road safely with public transport. In a built-up area, you must give way to any bus displaying the give way sign if the bus is indicating to move out from the kerb. On a multi-lane road, this only applies to vehicles travelling in the left lane. However, if the left lane is a bicycle lane or is obstructed e.g. by a parked car, drivers in the lane next to the left lane must also give way. The maximum travel speed for trams is 80 km/h. An average tram travelling 50km/h needs around 70 metres to come to a stop. That’s approximately two tram lengths. If the tram needs to come to a stop quickly it still needs its full length to stop safely. That’s not enough time to stop if you are in its path. Trams travel in both directions and are deceptively fast and quiet. Trams cannot swerve to avoid you. Do not overtake a tram. Do not drive into the path of an approaching tram. You must give space to trams - keep left of the tram when driving. An average tram travelling 50km/h needs around 70 metres to come to a stop. Do not U-turn in a tram lane if there is a ‘no U-turn’ sign. Refrain from travelling in a tram lane unless you are avoiding an obstacle or you need to undertake a turning movement. If you are in the path of an approaching tram you must move safely out of the way as soon as you can. Do not park or idle your vehicle across tram tracks. When walking, don’t cross the road in front of a tram. Wait until the tram has stopped at a tram stop. When getting off a tram you must cross the road from the nearest footpath or platform. Never walk out behind a tram to cross the tracks as you may not see trams coming in the opposite direction. When you see white lights on a train or tram it’s coming towards you. When you see red lights, it’s travelling away from you … just the same as a motor vehicle. As with tram lines, you must also take responsibility when around trains. A train travelling at 90 km/h on a dry track needs about 420 metres to stop. This distance is over twice the length of a football oval. The driver will probably not see someone close to the track and, if they could, it would be too late to stop the train and avoid impact. It is very difficult to judge how fast trains and trams are travelling. Most people are used to judging safe crossing distances for road vehicles travelling around 60 km/h. Always make sure that BOTH rail lines are clear for a long distance before crossing at a level crossing or pedestrian maze. From their driving seat, train drivers cannot see clearly to the left or to the right of the tracks. They also cannot see people or objects that are on the tracks directly in front of the train. Even if the train driver can see you, he or she cannot immediately stop the train. There are 696 railway level crossings on public roads within South Australia and approximately 360 pedestrian crossings on Adelaide’s Metropolitan Passenger Rail Network. Many crossings are equipped with active controls such as flashing lights and boom gates but some will only have passive signs such as stop signs/give way signs. Regardless of the level of safety warning devices, all train and tram crossings must be approached with care at all times.